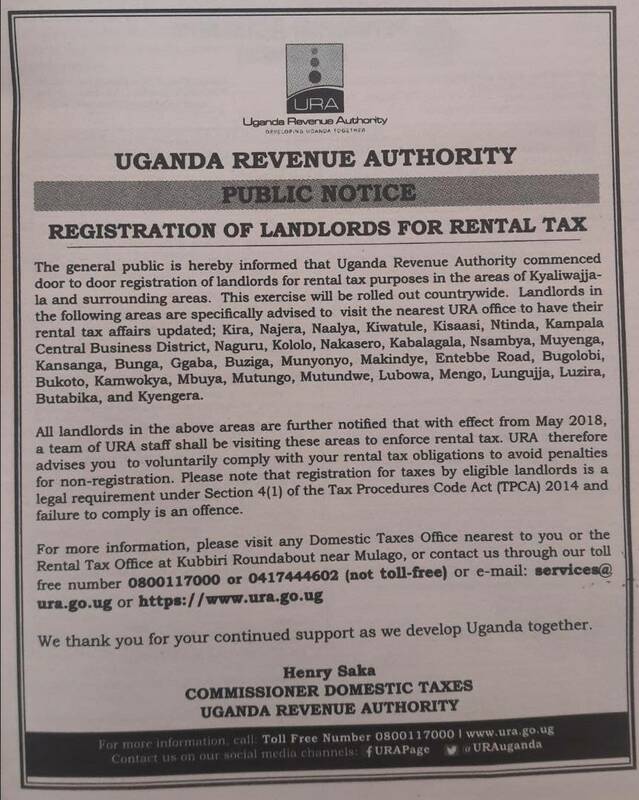 Tax collectors, Uganda Revenue Authority has kicked off door to door registration of landlords for rental tax collection. According to Henry Saka, the URA Commissioner Domestic Taxes, the exercise has commenced in parts of Kampala and will be rolled out countrywide. 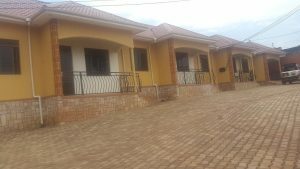 The body thus calls forth landlords in areas of Kira, Najeera, Naalya, Kiwatule, Kisaasi, Ntinda, Kamapla Central Business District, Nsambya, Muyenga, Naguru, Mutundwe, Luzira, Entebbe road among others.The tax body warns landlords that they will soon begin inspection to ensure adherence.